You can struggle for years to get a foot in the door with Hollywood producers – or you can take a page from the book that offers proven advice from twenty-one of the industry's best and brightest. 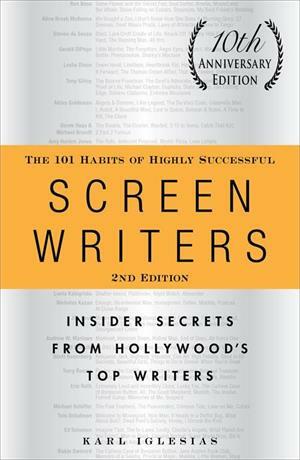 In this tenth anniversary edition, The 101 Habits of Highly Successful Screenwriters: Insider Secrets from Hollywood's Top Writers, peers into the lives and workspaces of screenwriting greats - including Terry Rossio (the Pirates of the Caribbean franchise), Aline Brosh McKenna (Morning Glory), Bill Marsilii (Deja Vu), Derek Haas and Michael Brandt (Wanted), and Tony Gilroy (the Bourne franchise). Karl Iglesias is a screenwriter and sought-after script doctor and consultant, specializing in the reader's emotional response to the page. 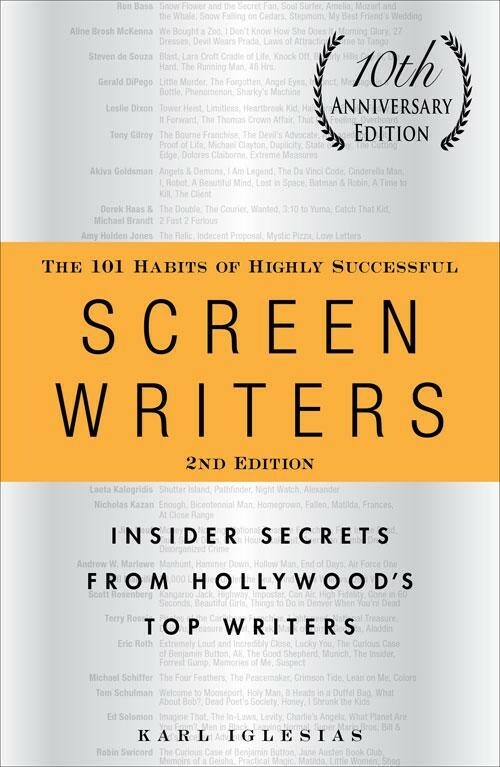 He is the author of the best-selling The 101 Habits of Highly Successful Screenwriters, and an Adjunct Professor at California State University – Fullerton and an instructor at UCLA Extension's Writer's Program, where he received the Outstanding Screenwriting Instructor award in 2010.